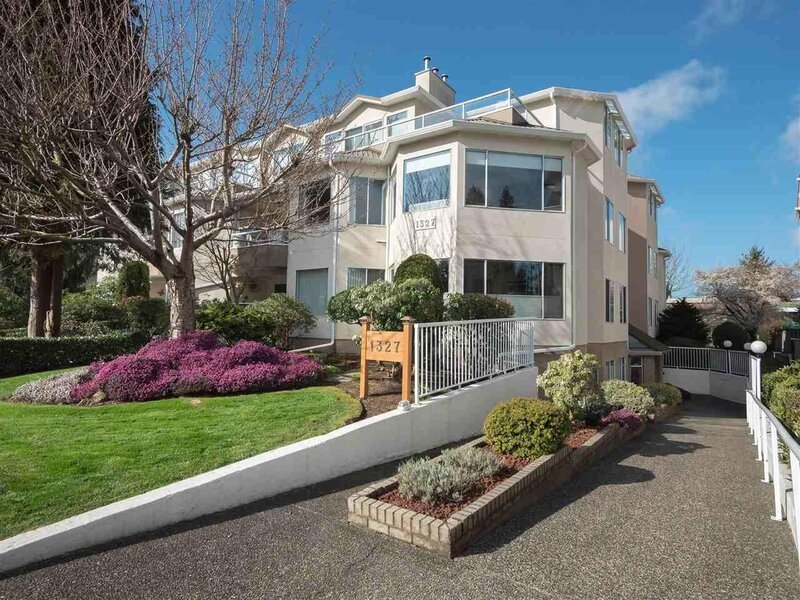 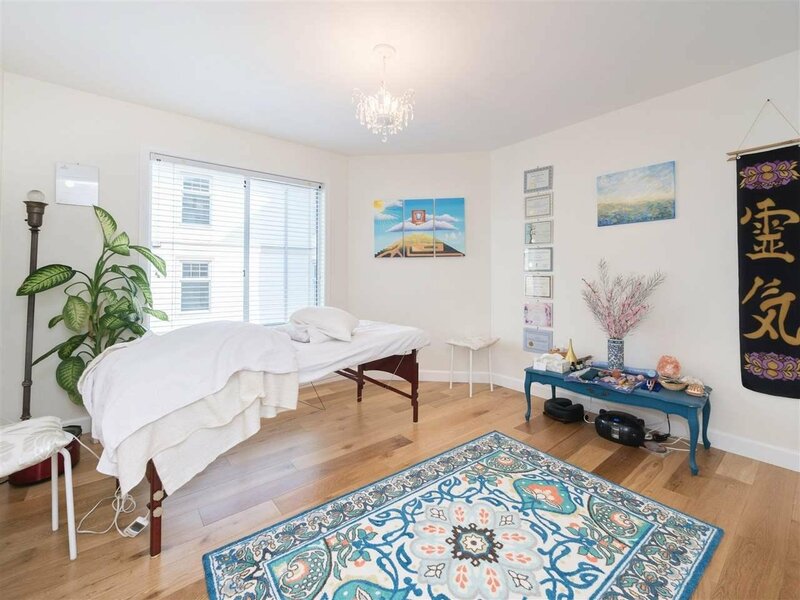 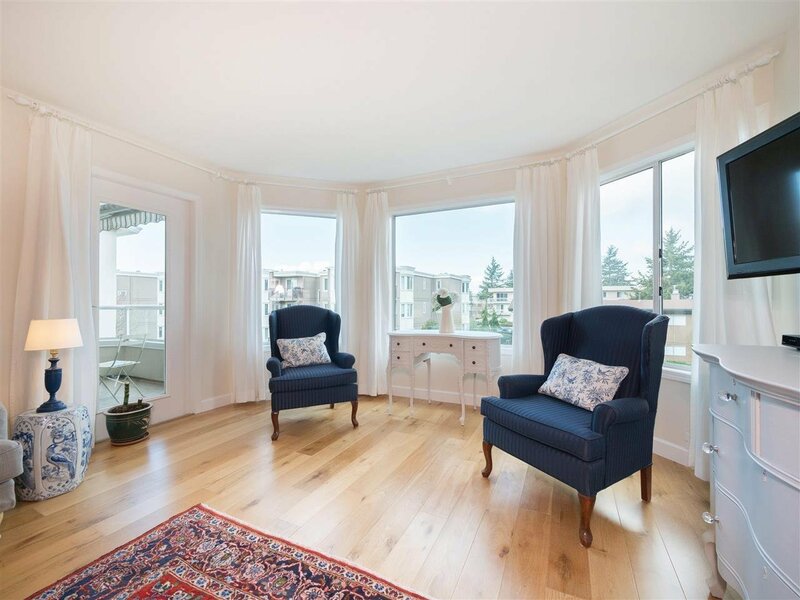 This beautifully updated condo feels more like a house with its spacious, open-concept layout. 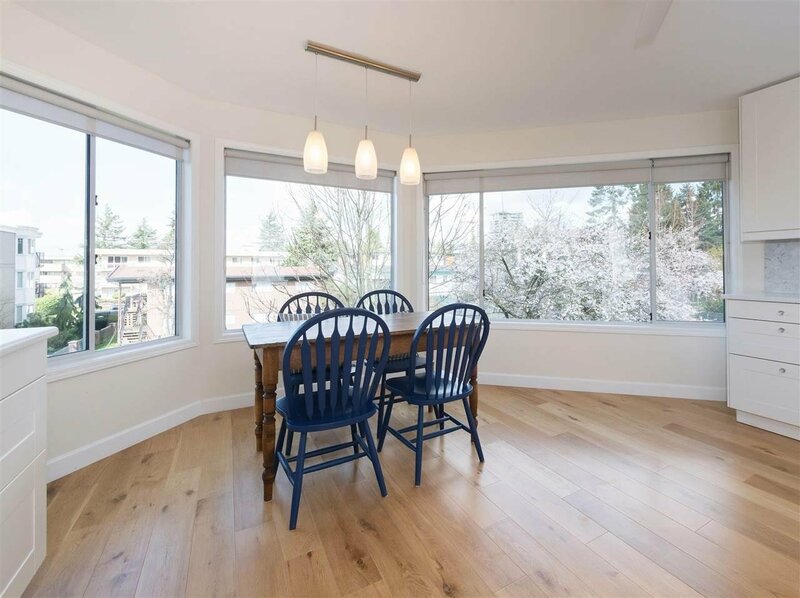 Large bay windows in the living room and kitchen look out onto a huge tree-lined yard. 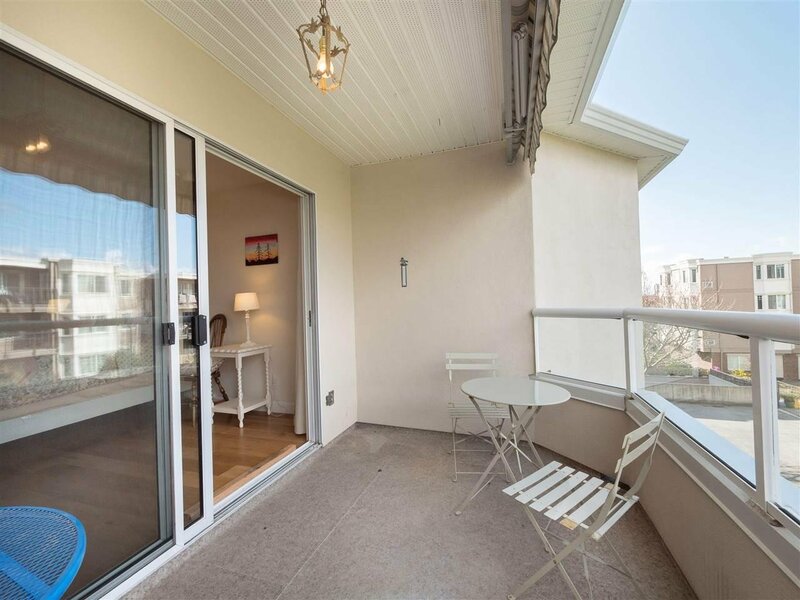 Sunny and bright, this 1410 sq. 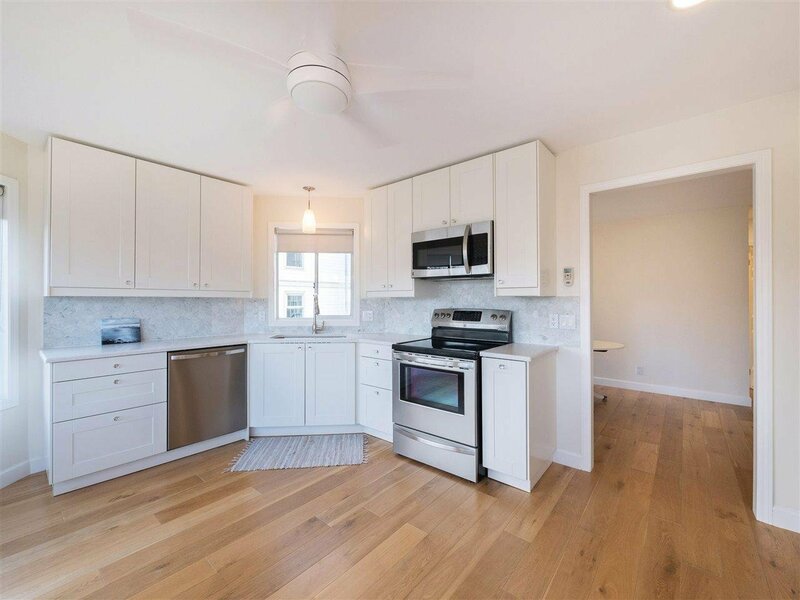 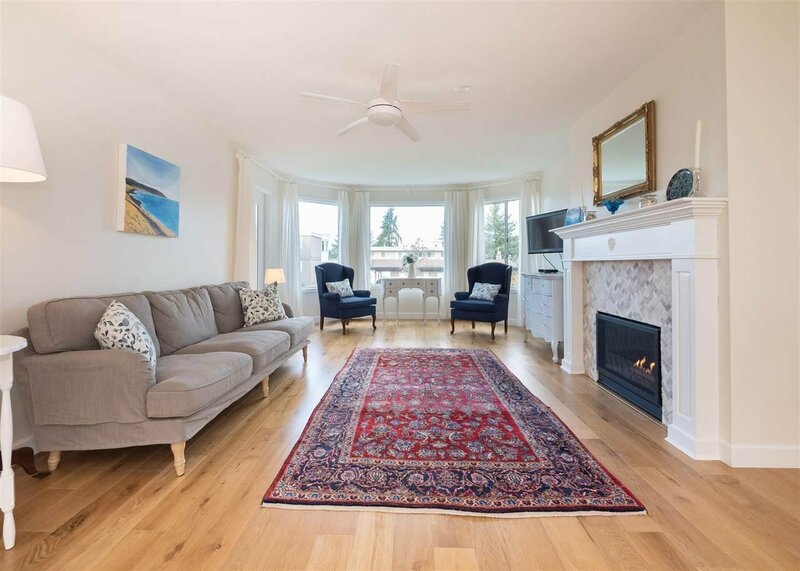 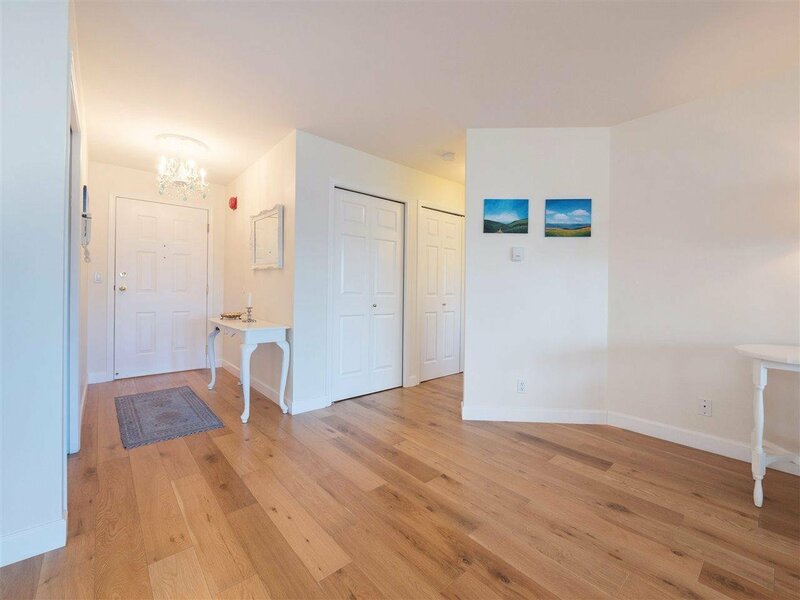 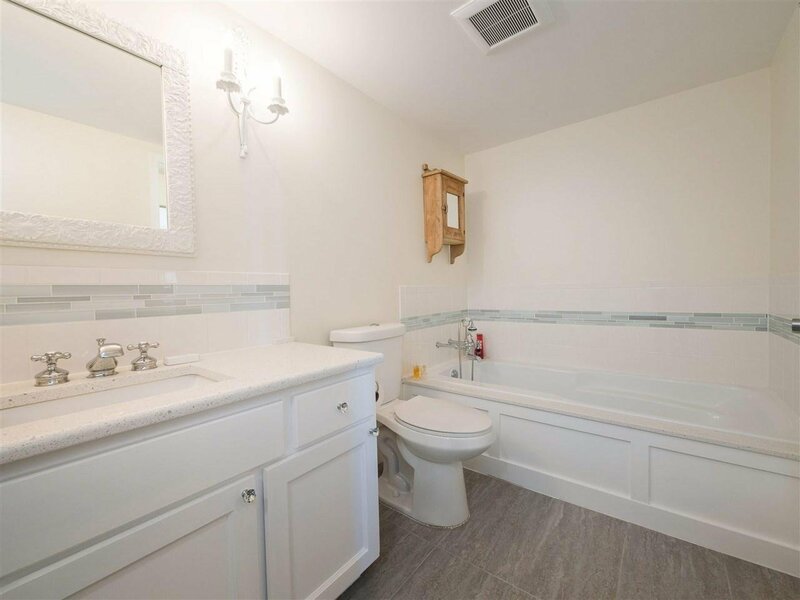 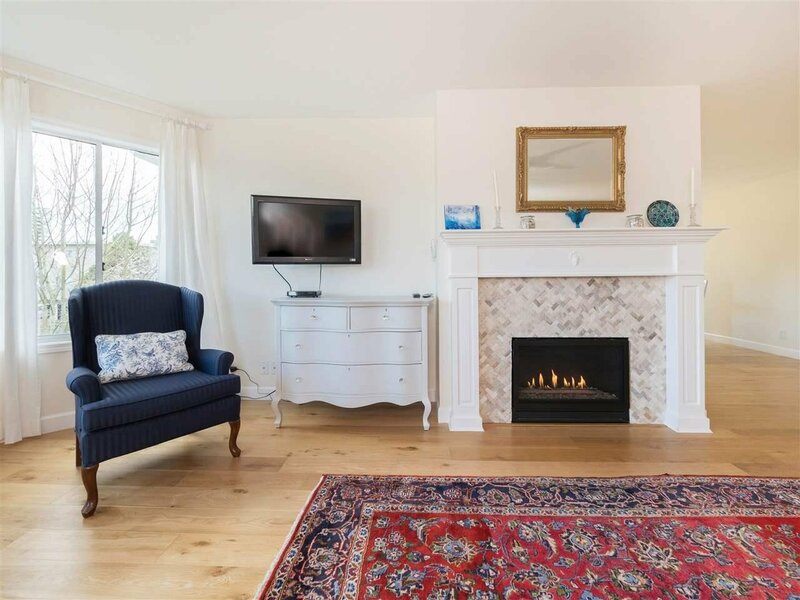 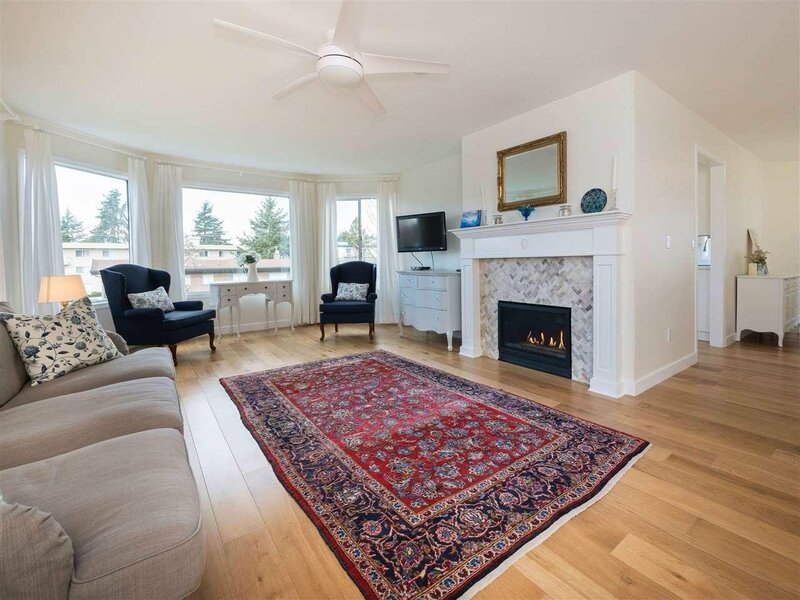 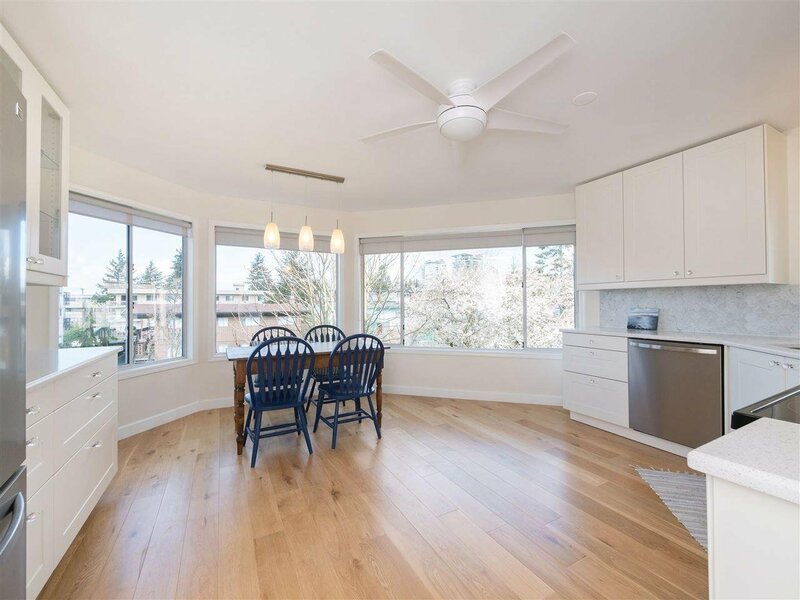 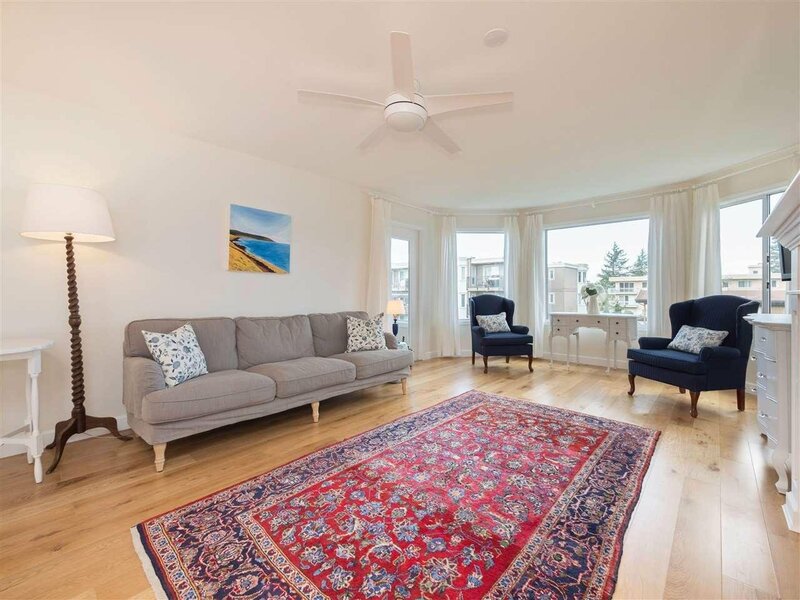 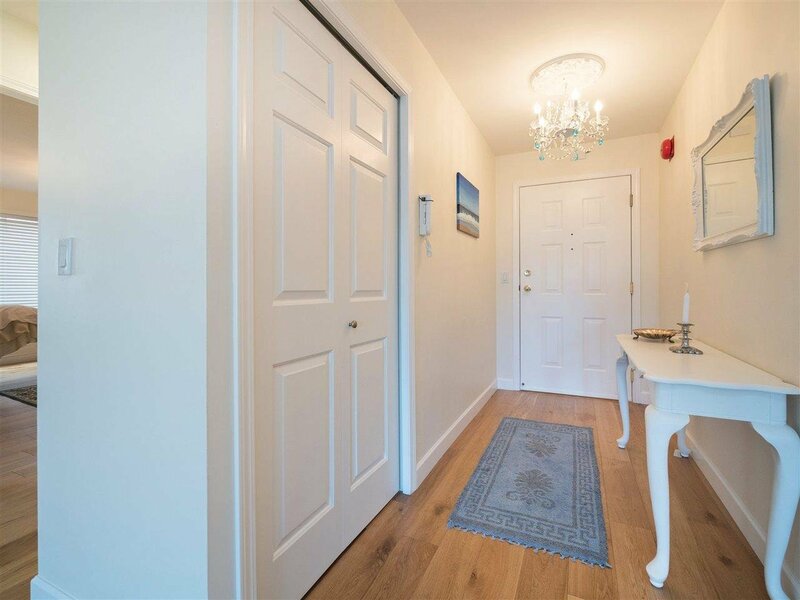 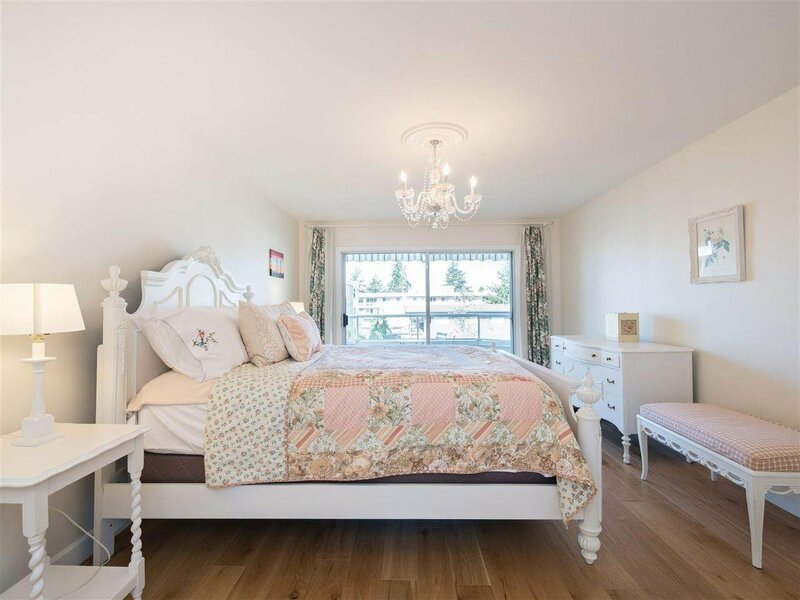 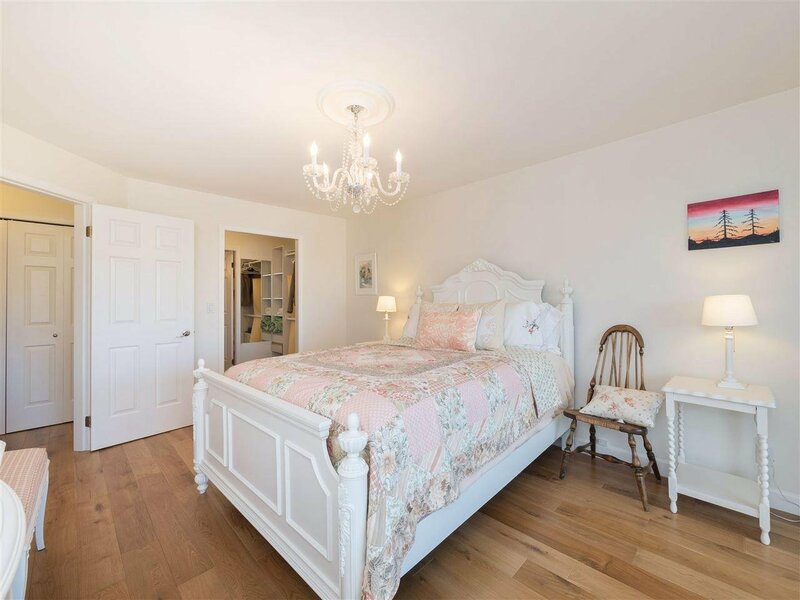 ft home is tastefully decorated with engineered hardwood oak floors throughout, radiant floor heating, a high efficiency fireplace, fresh paint and chandeliers. 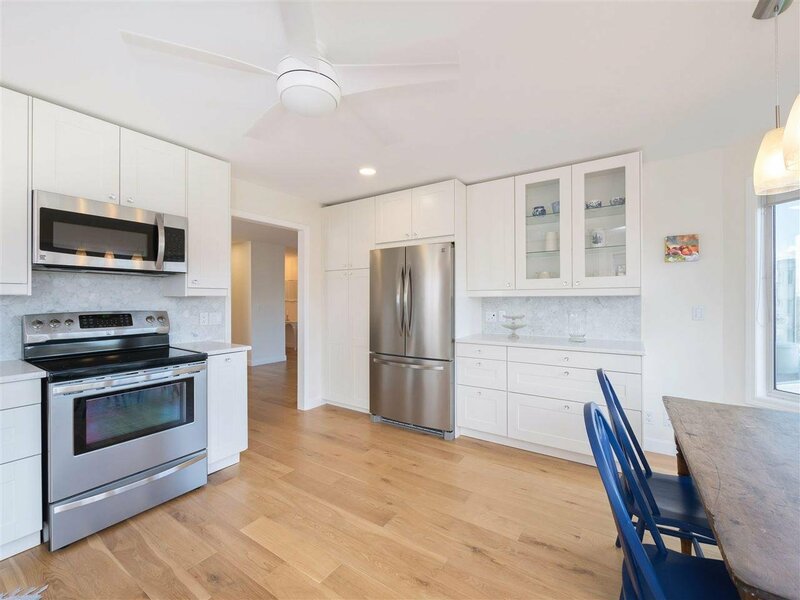 Enjoy your modern dream kitchen which includes a gorgeous marble backsplash, quartz counters, soft-close cabinets, SS appliances and its own designated dining area. 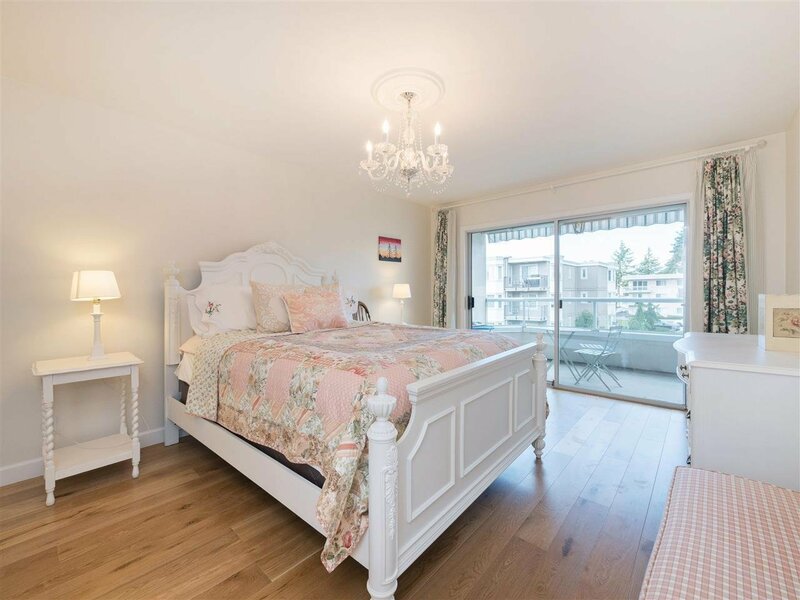 The master bedroom includes its own balcony, walk-in closet and full ensuite bathroom with deep tub and modern shower. 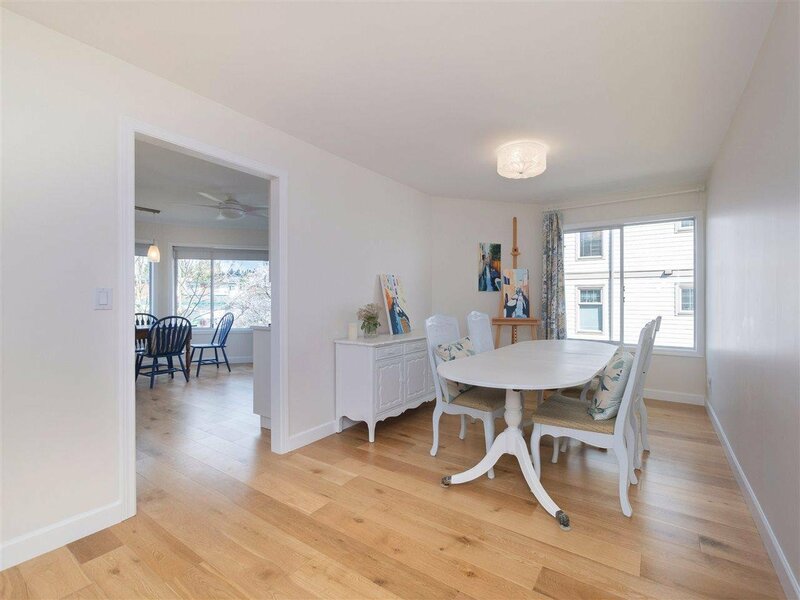 The spacious separate dining room is great for entertaining guests or it could be used as a separate room. 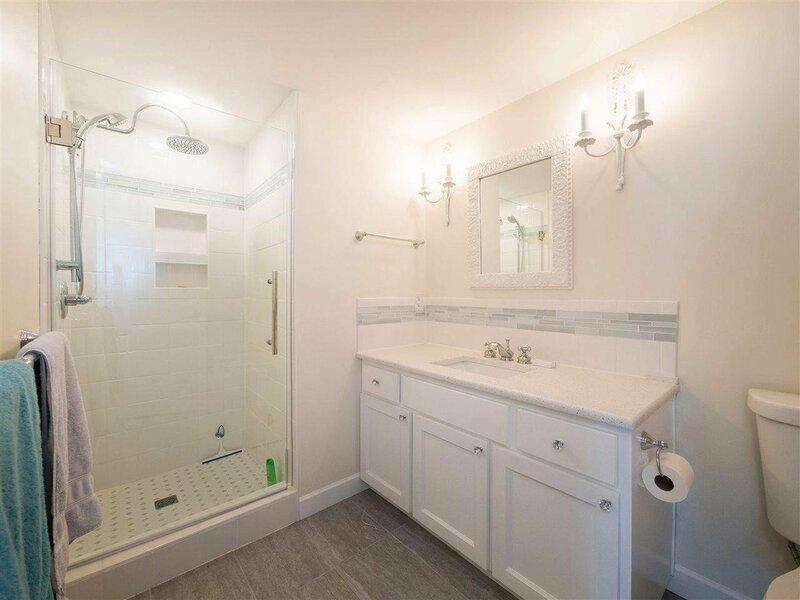 Plenty of closets & storage.